Akebono Announces Partnership with Kettering University's Formula SAE Team｜News｜Akebono Brake Industry Co., Ltd.
Farmington Hills, MI - (May 19, 2015) - Akebono Brake Corporation has recently become a Silver Partner sponsor of Kettering University’s Formula SAE (Society of Automotive Engineers) team for the 2015/2016 season. 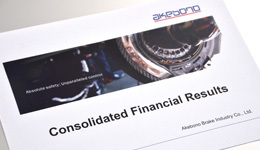 Akebono made a monetary contribution to the team in the amount of $2,500, with the intent of also donating brake components for next season’s car. On Tuesday, April 21, Jennifer Carlson, Corporate Marketing Communications Manager, and Jason Lewis, Senior Test Engineer, Wheel End Products, attended the university’s annual Formula SAE banquet at the Detroit Athletic Club in downtown Detroit, where they were presented with a team photo in appreciation of Akebono’s sponsorship. The monetary donation will help fund the team’s efforts in building next season’s formula car, along with assisting in other expenses associated with attending Formula SAE competitions held across the United States. The team finished second in fuel efficiency and sixteenth overall at the Formula SAE Michigan competition, which was held at the Michigan International Speedway, May 13-16 in Brooklyn, Michigan. Kettering University, founded in 1919, is located in Flint, Michigan. Its Formula SAE team finished tenth overall at the Lincoln, Nebraska competition last year. 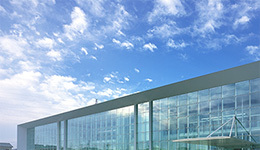 For more information about Formula SAE, please visit http://students.sae.org/cds/formulaseries/. 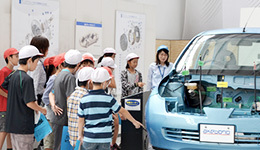 Akebono Brake Industry Co., Ltd. (TSE:7238), founded in 1929, is a world leader in advanced brake and friction material development and production. 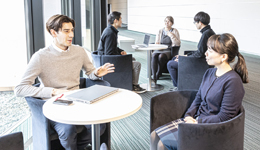 The Akebono Group operates R&D centers and manufacturing facilities worldwide in Japan, the United States, Europe and Asia. Akebono has been supplying and jointly developing brake systems with the McLaren Formula 1 team since 2007. 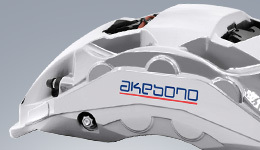 For more information, visit www.akebono-brake.com/english/index.html.